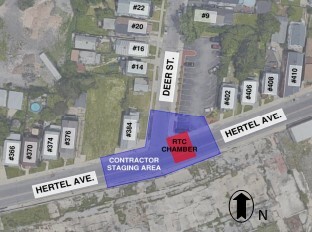 Crews from Buffalo Sewer Authority plan to begin construction this week on the smart sewer project on Hertel Avenue at Deer Street, officials said. It's the fifth installation of a smart sewer as part of the city's Real-Time Control Project intended to decrease combined sewer overflows, said Oluwole "OJ" McFoy, general manager of Buffalo Sewer. Traffic will be redirected on Hertel between Foundry Street and Military Road during construction. Residences within the vicinity of the project will be accessible during construction. Other smart sewer projects have been completed at Bird and Smith streets and Lang Avenue, and one is under construction on Bailey Avenue. The city wants to install additional smart sewers throughout Buffalo in the coming years, McFoy said.